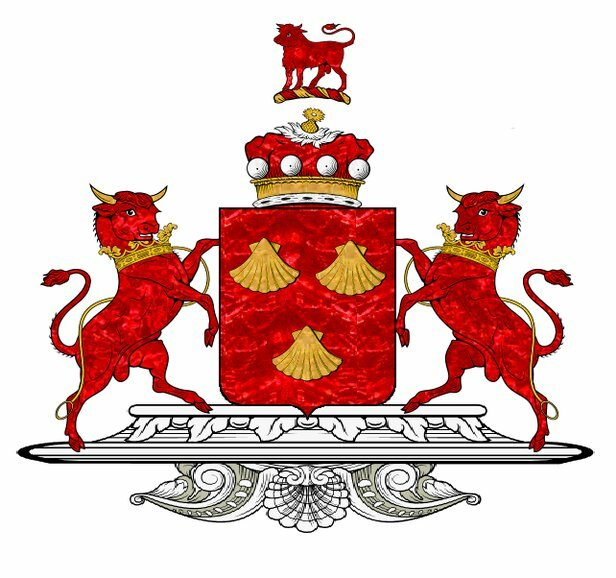 SIR THOMAS DACRE, 2nd Lord (Baron) Dacre of Gillesland (25 November 1467 – 24 October 1525) was the eldest son and heir of Sir Humphrey Dacre, 1st Lord Dacre and his wife, Mabel Parr (great-aunt of Queen Katherine Parr). Dacre was summoned to parliament from 17th October 1509 to 12th November 1515. This nobleman in the 9th Henry VII, served under Thomas, Earl of Surrey (later the 2nd Duke of Norfolk), at the siege of Norham Castle, and his lordship obtained great celebrity in the command of a body of horse reserve at the famous fight of Floddin in the 4th Henry VIII under the same gallant leader. He was subsequently, at different times, engaged in Scotland and he filled the important office of warden of the West Marches from the 1st year of King Henry VIII. 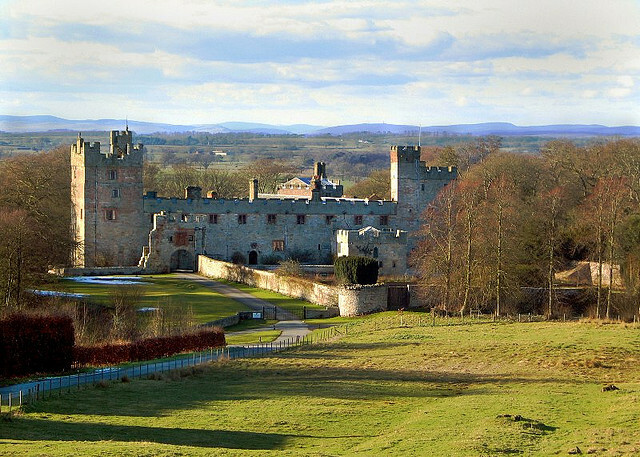 Naworth Castle, also known as, or recorded in historical documents as “Naward”, is a castle in Cumbria (formally Westmorland), England near the town of Brampton. It is on the opposite side of the River Irthing to, and just within sight of, Lanercost Priory. It was the seat of the Barons Dacre. The castle is thought to have late 13th-century origins, in the form of a square keep and bailey. It was first mentioned in 1323, and in 1335 a licence to crenellate was granted to Ralph Dacre, 1st Baron Dacre (ca. 1290 – April 1339). Residential quarters were added in the early 16th century by Thomas, 2nd Lord Dacre. He built the whole of the south and east wings including the 100ft Great Hall, and what is now known as Lord William’s Tower. Unfortunately for the Dacre family, in 1560 the then Lord Dacre died, leaving a widow, three daughters and a young son called George. Thomas Howard, 4th Duke of Norfolk, Queen Elizabeth’s cousin, married the widowed Lady Dacre, and arranged to marry his three sons to her three daughters. Young George was killed in a fall from a vaulting horse and the vast Dacre estates which covered great tracts of the north of England- including 70,000 acres of the Barony of Gilsland, lands in Cumberland including Greystoke and Dacre, 20,000 acres around Morpeth and 30,000 acres in Yorkshire – now part of Castle Howard estate, all came under the control of the Howard family.The castle is currently occupied by Philip Howard, brother and heir presumptive of the 13th Earl of Carlisle. He married c. 1488 to Elizabeth, suo jure 6th Baroness Greystock, daughter and heiress of Sir Robert de Greystoke by Lady Elizabeth Grey, daughter of Edmund Grey, 1st Earl of Kent [descendant of Lady Elizabeth of Lancaster, daughter of John of Gaunt and Blanche of Lancaster] and Lady Katherine Percy [descendant of Edward III’s granddaughter, Lady Joan Beaufort and also his son, Lionel of Antwerp]. Elizabeth was the granddaughter and sole heiress of Ralph de Greystock, 5th Baron Greystock KG [descendant of Edward III by his granddaughter, Lady Joan Beaufort’s, first marriage to Lord Ferrers]. William Dacre, 3rd Baron Dacre of Gilsland, who married Lady Elizabeth Talbot, 5th daughter of George Talbot, 4th Earl of Shrewsbury and Lady Anne Hastings. Hon. Mary Dacre who married Francis, 5th Earl of Shrewsbury, brother of the above Lady Elizabeth Talbot. Had issue. Hon. Anne Dacre, wife of Christopher Conyers, 2nd Baron Conyers. Had issue. Hon. Mabel Dacre who married Henry Scrope, 7th Baron Scrope of Bolton. Had issue which included their son, John, 8th Baron. The 7th Lord Scrope would enter into marriage negotiations with Lady Maud Parr for the hand of his eldest son and heir, Henry. If everything had gone according to plan, Katherine would have married her 2nd cousin [twice removed, closest relation out of several shared ancestors]. Luckily for Katherine the marriage was rejected as Henry died a few years later. His brother John succeeded their father in the barony. Hon. Jane Dacre, wife of Lord Tailboys. Hon. Philippa Dacre, most likely named after her paternal grandmother, Lady Philippa Neville. Hon. Jane Dacre, of the second name. His lordship died on 24 October 1525 due to a fall from his horse. He had his wife, who had died in August of 1516, were buried in Lanercost Priory, Cumberland, England. He was succeeded by his elder son William. Douglas Richardson. Magna Carta Ancestry: A Study in Colonial and Medieval Families, 2nd Edition, 2011. pg 16-18. 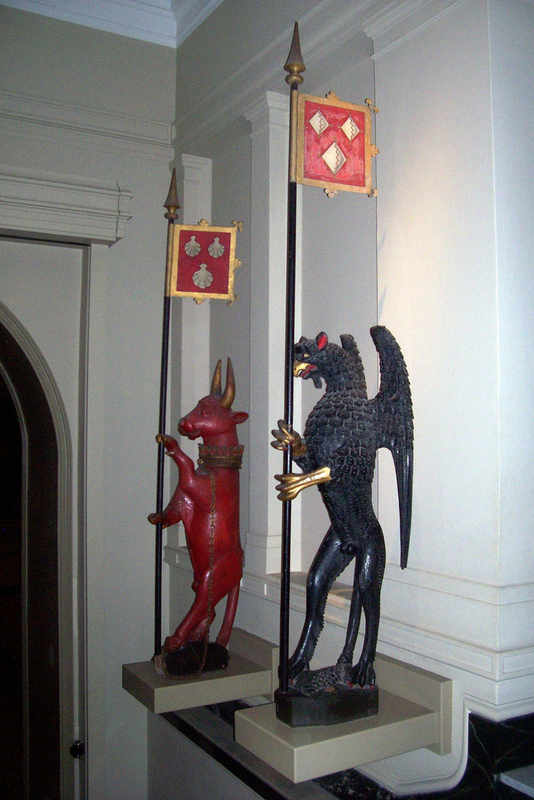 This entry was posted in Life before 1543, The Family of Katherine Parr and tagged 2nd baron dacre, 2nd lord dacre, catherine parr, cousin Queen Catherine Parr, cousin Queen Katherine Parr, dacre bull, dacre coat of arms, humphrey dacre, katherine parr, lord dacre, mabel parr, naworth castle, thomas dacre by tudorqueen6. Bookmark the permalink.